Following the end of the war, Sheffield Corporation A fleet took a small number of Crossleys (28 in all) over three years. 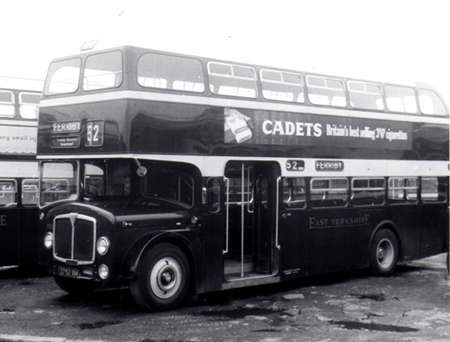 First to arrive were six single-deckers 237-242 (JWJ 737 – 742) in 1947. In the same year eight double-deck vehicles were added, they were 573 – 580 (KWA 773 – 780). They were followed in 1948 by another ten and in 1949 by four more. The two pictures show examples of the earliest deliveries, but look at the different styling around the front ends. The doubledeck version is probably more typically Crossley with the window line dipping to meet the line of the windscreen. The singledeck version has a straight window line at the front but still meeting the line of the windscreen. 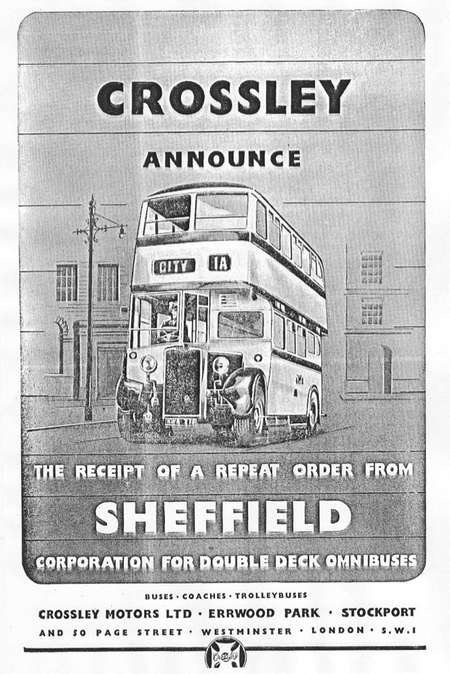 Most Sheffield doubledeckers would have two route blinds, these one-liners were in a minority but taken at a time when getting new buses was a higher priority than "calling the shots". I think all Crossleys were distress purchases, in time of great need, and that they were diverted orders. That explains the non-standard features. 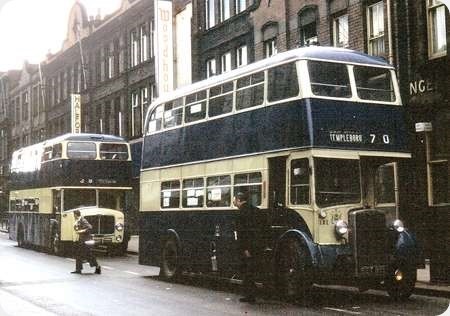 Certainly the four 1949 Crossleys were diverted from a Liverpool order, albeit they seemed to have Sheffield specification – down to destination blinds. PS: The 1948 ten were interesting in that they had NCB bodywork. Were they unique? I believe the single deckers were a diverted order from Chesterfield Corporation and the batch of eight double deckers 573-580 diverted from a Lancaster order. Numbers 573-580 seemed to spend most of their lives on the Inner Circle routes 8 and 9. A picture of a former Lancaster City Transport SD42 showing the straight windscreen is on this site at the People’s League for the Defence of Freedom page.The straight lower line of the windscreen was standard on the single deck Crossley bus body (the Dutch Crossleys are a completely different species). This feature was maintained right up to the very last single deck SD42/7 Crossley bodies, two of which were delivered to Southport Corporation in 1951, though these lacked the stepped waistrail. 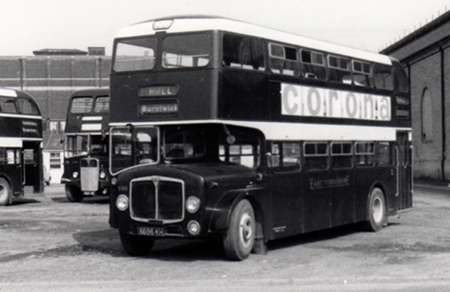 Southport had earlier also specified the straight windscreen line on its pair of DD42/7s with downdraught engines supplied in 1950. Above is an advertisement put out by Crossley that is quite appropriate. I was always intrigued how neighbouring Rotherham more or less kept their Crossleys hard at work on the flat terrain as much as possible, mainly on the joint service 69 to Sheffield, whereas STD seemed to deliberately seek out some of the fiercest hills, such as several encountered on the Inner Circle, on which to run theirs! Division Street obviously had more faith in the Crossley’s climbing abilities than Frederick Street! The mention of the double deckers being diverted from a Lancaster order goes a long way to explaining the style of indicator display. I don’t think it is true to say that all Crossleys were distress purchases. AFAIK there were only two problems, the engine and the steering, neither of which were known about when the first ones were ordered. The engine problem only became serious under stress: I have never heard any complaints about it in single deckers, even in double deckers it was worse in hilly terrain than on the flat, and it was eventually fixed by AEC engineers. As for the steering, it too could be fixed (I don’t know if Manchester were alone in doing this) and although it sounds brutal, it was something that only affected drivers and not the balance sheet. So unless an operator actually cared about its staff, or had a strong trade union presence, the problem could be ignored. Those two things apart, I seem to remember Geoffrey Hilditch being quite complimentary about Crossleys. Depends what you mean by distress, Peter. Given a clear field, untrammelled by Government intervention, Sheffield would have continued to buy only Leyland and AEC – presumably continuing the pre-war body orders to Leyland, Weymann, Craven and Roberts. Like everyone else, they couldn’t get enough from their preferred suppliers and in times of "distress" went where they could to find sufficient vehicles. This included the said diverted orders of Crossleys but also included deliveries of Daimler CVD6s as well as going to unusual suppliers of bodywork – NCB; Cawood; Wilks and Meade. 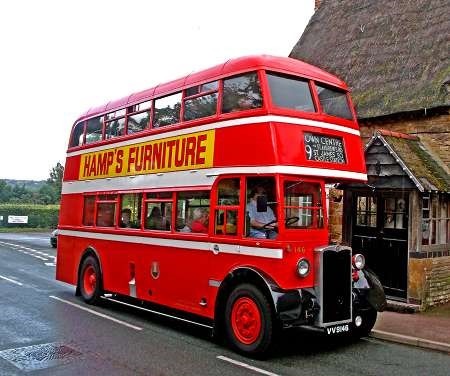 When things settled down in the ’50s, a simple dual sourcing policy returned – Leyland/AEC and Weymann/Roe. 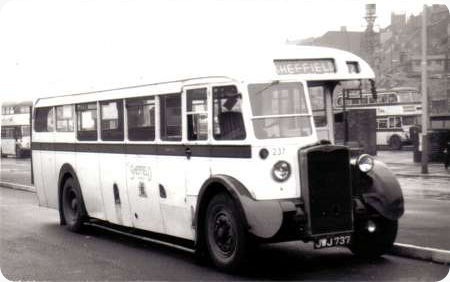 A further point of interest is that on receipt, the six SD42’s diverted to Sheffield had only a single destination aperture at the front (as found on similar Chesterfield vehicles) and this was not wide enough to incorporate a route number as well as a place name. Sheffield therefore effected their own modification and cut out a separate aperture alongside for the route number but presumably the restricted space for this exercise was only sufficient for a two digit display. I doubt this would have been a problem since, as far as I can remember, they spent the majority of their lives on such routes as 37 and 40 to Bakewell via Baslow and via Carver Sough. 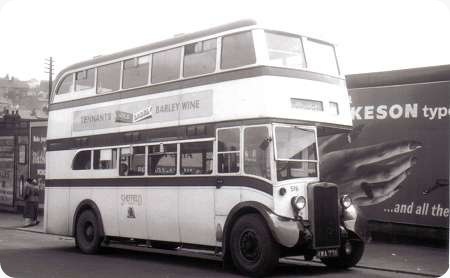 Leeds had dual sourced AEC & Leyland pre war and were allocated utility Daimlers during hostilities. Such an impression did these make that Daimler continued to supply chassis for the next thirty years. They bought one Crossley which impressed enough to be followed by 20 odd others all of which lasted until the early sixties. Indeed they outlasted some of the postwar Daimlers which were far more standard than they were. Perhaps as Leeds was a major AEC customer they got help with the Crossleys from that quarter. As a small boy in Sheffield I remember being taken by my uncle on more than one occasion for a ride all the way round on the "Outer Circular" service. From memory and it is a long time ago, the bus was invariably a Crossley. Again, from memory, it was never very full so maybe "Division Street" did keep these buses to the lighter used routes? Like Stan, I also used Crossleys on the 2 / 3 Outer Circle. My trips were shorter, being from Gleadless Town End to Graves Park, or Abbeydale Road where we would get the tram to Millhouses Park. The Crossleys never seemed very happy on this run, especially on the uphill return journey, to my young mind. 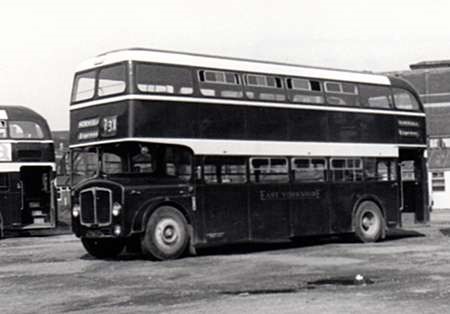 The double-decker`s were used on the 8&9 routes, along with the 69 Rotherham. They would only have needed single destination blinds for these routes. Later PD2s on the 69 route also had 1 destination blind that had the route & number in one box, as you lads have explained to me before.